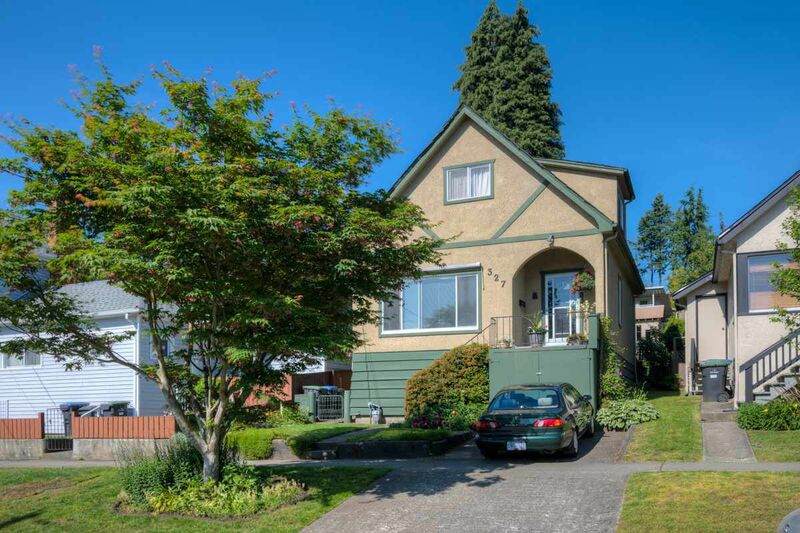 This affordable family home sits on a quiet tree-lined street in upper Sapperton. A perfect starter for a young family. Two bedrooms plus a den / nursery above the main floor. Main floor offers a living room with view of the neighbourhood, large dedicated dining room and a generous kitchen. There is a picture perfect rear yard with good sized deck and garden. There is an unfinished basement area with laundry, workshop and storage. 14-year-old roof, updated furnace, hot water tank and electrical. Minutes by foot from McBride School, Sapperton Park and Columbia Street shops and services. Even SkyTrain is walking distance.